A long time ago, before I was even born, another Schnauzer lived with my Mum and Dad. His name was Dolphie and they loved him very much. Mum told me that Dolphie was my Uncle and that I look a lot like him. I am proud of that. He was a quiet, gentle soul and Mum never went anywhere without him. Dolphie also loved to go on the boat, and because he was not as bouncy as me Mum would never leave him at home. This makes me a teensy bit jealous but then that makes me feel guilty, so I try not to think about it. Dolphie loved my silly brother. He wasn’t jealous like me. Like me and my cat, Dolphie and Spud would cuddle together on cold winter evenings. The closest dog grooming parlour is about 1,500km away, so Mum had to learn how to cut Dolphie’s hair. I’m very glad she had some practice before I joined the family! I have to admit he was cute. He was also a good security guard. Mum told me a very brave story about Dolphie. 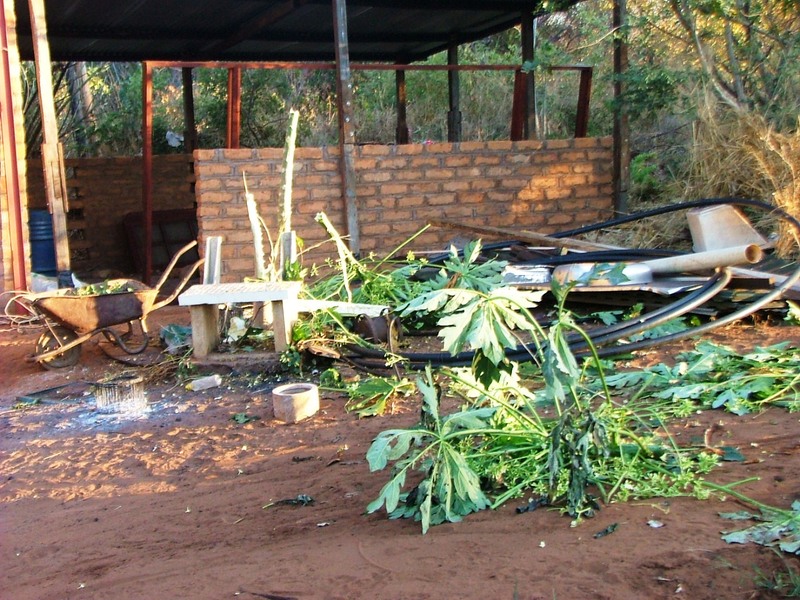 One night while Dad was out in the fields chasing elephants away from the wheat some sneaky elephants broke the fence and tiptoed into the garden (elephants are very big but they can be very quiet when they are doing things they shouldn’t be doing). They ate all the pawpaw trees and were making their way towards the orange trees when Dolphie and Spud heard them and told Mum. As Mum opened the door she was shocked to find one elephant standing not two metres away from her, eyeing out the closest, juiciest oranges. Spud and Dolphie tore past her, barking and yapping, almost knocking her over, and they chased that elephant right out of the garden! I don’t know if I’ll ever be as brave as Dolphie was. Dolphie used to love going for rides in the car with Mum and Dad and he would sit on Mum’s lap and look out of the window. Then a very sad thing happened. One day Mum had to go away to visit her family. Of course Dolphie missed her but he was very happy because now, instead of sitting in the office with Mum all day, he could spend all his time with Dad, my silly brother and three annoying sisters, running around in the fields looking for elephant poo to roll in. 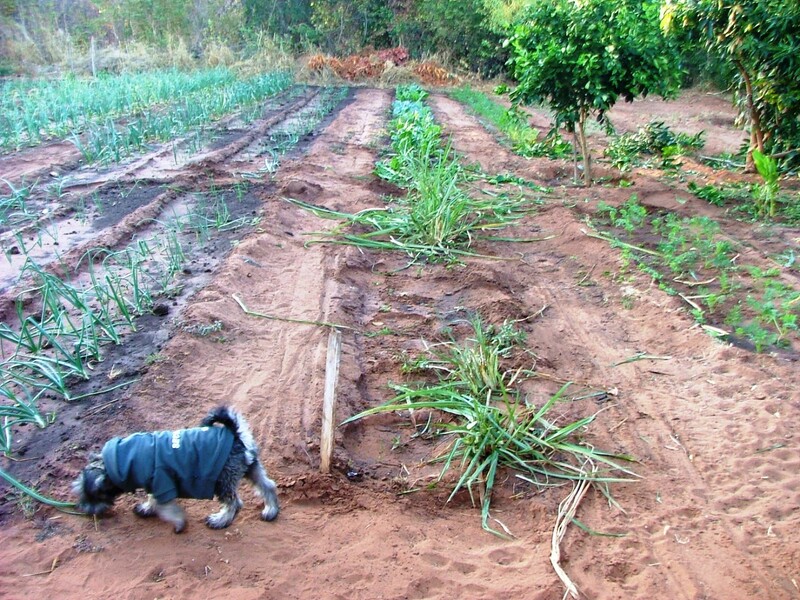 Only a few days after Mum had left Dolphie and the others were sniffing about in the bush next to one of the fields when Dad heard the big dogs barking their ‘it’s a snake’ bark. Dad knew that Dolphie had never seen a snake before (he was still a baby) and wouldn’t know that they can be dangerous so he ran as fast as he could to where they were, calling his name all the time. When he got there the other dogs were standing barking, a long way away from a very long, very black and very angry snake. But Dolphie was too close. Before Dad could get to him the snake struck and Dad heard Dolphie yelp. The snake slithered away and Dolphie fell to the ground, crying. Dad realised that it was a very poisonous snake and that he wouldn’t get to the vet in time to save Dolphie, so he picked him up and carried him to the car and just sat there, holding him, stroking him and talking to him until he finally took a shuddering breath and closed his eyes for the last time. Mum gets sad when she tells me this story. She is crying now while she reads this over my shoulder and I am sorry that I have reminded her. So I am going to finish this and go and lick away her tears. They taste salty. 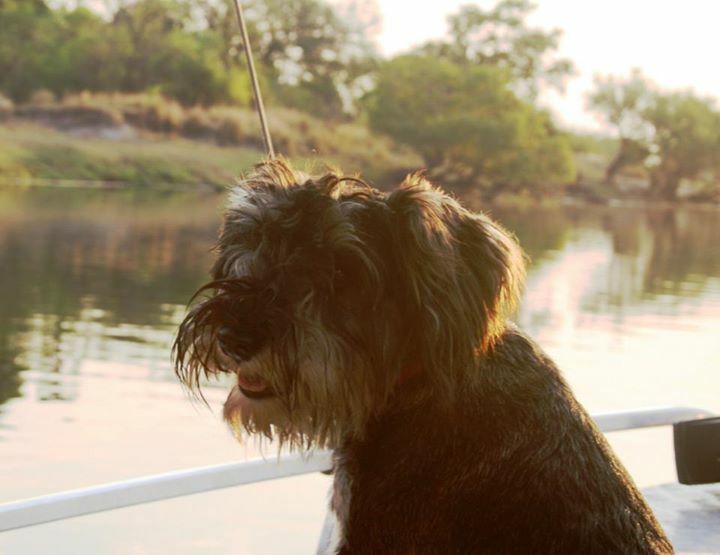 This entry was posted in Family History and tagged Africa, Dog, Dogs, Elephants, Miniature Schnauzer, Schnauzer, Schnauzers, Snake Bite, Zambezi River, Zambia. Bookmark the permalink. Apparently Dolphie hated having his picture taken but those Mum managed to sneak on him worked pretty well. So sorry about your uncle. Hope you play save when you are out there. Licks and paws up my friend! Thank you Trompie – he was a very special little dog. Ha ha, I know hat feeling. My Mum is the same. Always a watching eye! Sometimes when I think of Dolphie I get sad. Then I remember that even though his life was so short, he was loved and he knew it. And that makes me happy.